BAYWATCH,” starring Dwayne Johnson (“CENTRAL INTELLIGENCE,” “SAN ANDREAS,” “FAST & FURIOUS” franchise) and Zac Efron (“NEIGHBORS,” “MIKE AND DAVE NEED WEDDING DATES”). Joining Johnson and Efron are Alexandra Daddario (“SAN ANDREAS,” “True Detective”), Priyanka Chopra (“Quantico”), Jon Bass (“Big Time in Hollywood, FL,” “The Newsroom”), Kelly Rohrbach (“UNTITLED WOODY ALLEN PROJECT”), Ilfenesh Hadera (“Billions,” “CHI-RAQ”), and Hannibal Buress (“DADDY’S HOME,” “NEIGHBORS”). Seth Gordon (“HORRIBLE BOSSES,” “IDENTITY THIEF”) is directing the film from a screenplay most recently written by Damian Shannon & Mark Swift and Barry Schwartz. Beau Flynn (“SAN ANDREAS,” “HERCULES”), Ivan Reitman (“GHOSTBUSTERS,” “UP IN THE AIR”), and Michael Berk, Doug Schwartz (“SOUL SURFER”) & Greg Bonann, creators of the iconic “Baywatch” television series, are producing. The executive producers are Michele Berk (“BANDITS,” “KILL THE SPARROWS”), Louise Rosner (“THE BIG SHORT, “THE HUNGER GAMES” franchise), Tom Pollock (“UP IN THE AIR,” “OLD SCHOOL”), and Ali Bell (“HITCHCOCK”). Eli Roth is a co-producer. 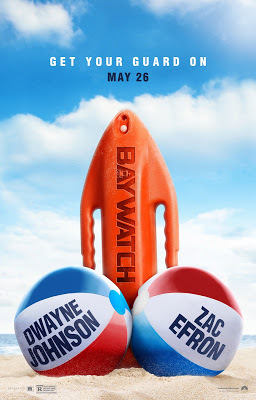 “BAYWATCH” follows devoted lifeguard Mitch Buchannon (Johnson) as he butts heads with a brash new recruit (Efron). Together, they uncover a local criminal plot that threatens the future of the Bay.